The times are a changing, especially in the natural beauty world. Long gone are the days of meandering through one aisle at Whole Foods in search of chemical free, natural skincare. The once niche market is becoming quite crowded, and since we love to offer our readers bullseyes (why shoot around in the dark if you don’t have to…) we reached out to, Dara Kennedy, founder of San Francisco brick & mortar and online beauty retailer, Ayla Beauty, to tap into her expertise on the best natural skincare products. 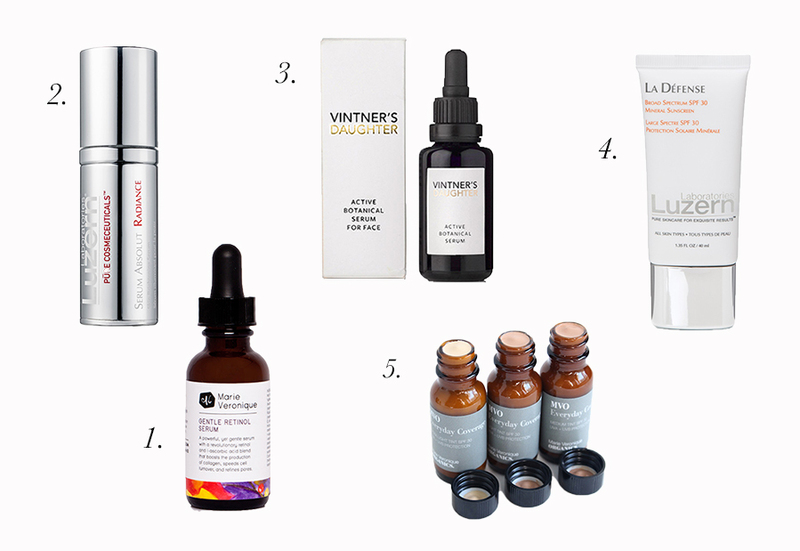 Read on for Dara’s top natural skincare picks for sensitivity & redness, acne, fine lines & wrinkles, dullness & clogged pores and/or hyper-pigmentation. “We have a lot of customers who came to us struggling with sensitive, flushed skin. Sometimes I find that what really helps calm inflammation is an approach that’s both internal and external: not washing your face with overly hot water, avoiding inflammatory foods, lowering stress levels through exercise or meditation (or this amazing Bach flower elixir! ), and getting enough sleep will often go a long way towards solving the problem. But these are some product picks that tend to do particularly well with our delicate flowers. 1.S5 Neutralise Cleanser can work across most skin types; it was designed as an organic version of Cetaphil, and it’s just as calming as that sounds. 2.The Organic Pharmacy Rose Facial Spritz is my favorite rosewater spray of all time. The Organic Pharmacy sources very high quality ingredients, and their rosewater is a real standout. You can spray this on throughout the day for a quick, calming refresh. 3.MyHavtorn Organic Facial Oil is fantastic for those with rosacea and eczema. It’s the best sea buckthorn oil you can buy, in my view: the family that makes it grows their own sea buckthorn trees and presses the oil fresh to order for us. 4.Elave Intense Moisture Surge is a great value, and it’s one of those products we tend to recommend to people who seem to react to absolutely everything. “Adult acne is such a cruel irony: no one should have to deal with wrinkles and acne at the same time! I think the key to tackling adult acne is to avoid products designed for teens — and also to be willing to experiment a bit, because what works for one person might not work for another. 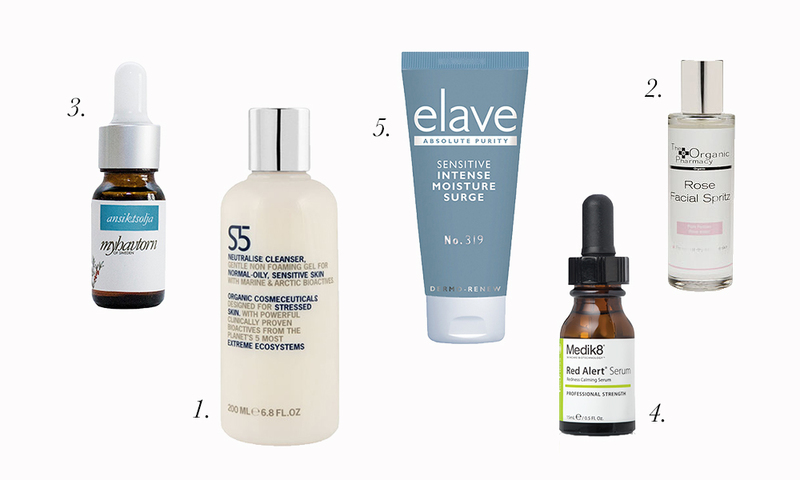 These are our some of our favorite picks for acne-prone skin. 1.Medik8 PoreCleanse Gel is a wonderfully deep-cleansing gel that foams nicely and really works on breakout-prone skin. 2.Medik8 betaGel has been one of our consistent top sellers for a few years. It’s a spot treatment that levels pimples overnight. 3.Luzern Serum Control is one of my personal favorites; whenever I see a breakout cropping up, I slather this on and it stops it in its tracks without any trace of dryness, which is incredible; You can use it all over your face. 4.Luzern Micro-Gel is another favorite of mine because it balances out oily patches so nicely while providing your skin with deep, weightless hydration. “Dehydration is often a culprit behind fine lines. I often recommend natural skincare products that contain hyaluronic acid because there’s one type (long-chain hyaluronic acid) that helps plump up lines created by dehydration, and there’s another type (short-chain hyaluronic acid) that has been proven to boost collagen synthesis in the skin over the long term. Combining the two is a great approach. 1.BioRecept BioStrata de Peau is a night cream that features short-chain hyaluronic acid along with 15% AHA, so it delivers dramatic results. It’s one of our favorite products on our shelves. 2.Luzern Serum ReHydrate is incredibly light weight but rich in hyaluronic acid, glycerin, and ceramides. It’s an unusual but brilliant combination that stops dehydration in its tracks and helps plump up fine lines. 3.Biocyte Hyaluronic Forte is a bioavailable, plant-based hyaluronic acid in a tablet that you take every morning at breakfast for three months. It seems to magically work wherever you need it: we’ve heard our customers rave about its ability to plump up wrinkles and acne scars, keep skin well hydrated, turn lips pillowy-soft, and calm eczema and psoriasis. 4.M Picaut Skin Perfect Moisturizer is a beautifully textured cream that’s made with high concentrations of peptides: it’s been proven to diminish fine lines and wrinkles by an astounding 45% after two months. And feels amazing on the skin. “Whenever someone comes to us saying that their skin feels dull, clogged, and generally sad, we usually recommend something from this set of natural skincare products. They’re all winners and get stellar reviews. 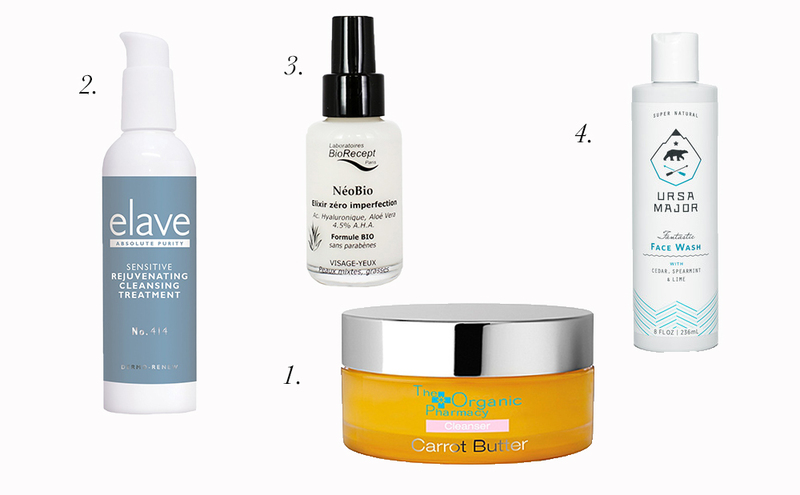 1.The Organic Pharmacy Carrot Butter Cleanser is the best thing I’ve seen for digging out stubborn blackheads. It also removes makeup like a dream. If your skin tends to be oily, I always suggest using the double cleanse method and following this with a gel-based cleanser. 2.Ursa Major Fantastic Face Wash is a great example of a gel-based cleanser that you could use after Carrot Butter — or anytime. It leaves skin feeling comfortably squeaky clean and super fresh. I love how foamy it is, too (and it’s sulfate free, like all the products we carry). 3.Elave Rejuvenating Cleansing Treatment is a glycolic acid cleanser in a creamy base that can even be used by those who are prone to rosacea. It sweeps away dead skin cells without any irritation or discomfort. “Hyper-pigmentation is tough. I think you have to approach the use of any product meant to address it with a good dose of patience and willingness to use sunscreen. 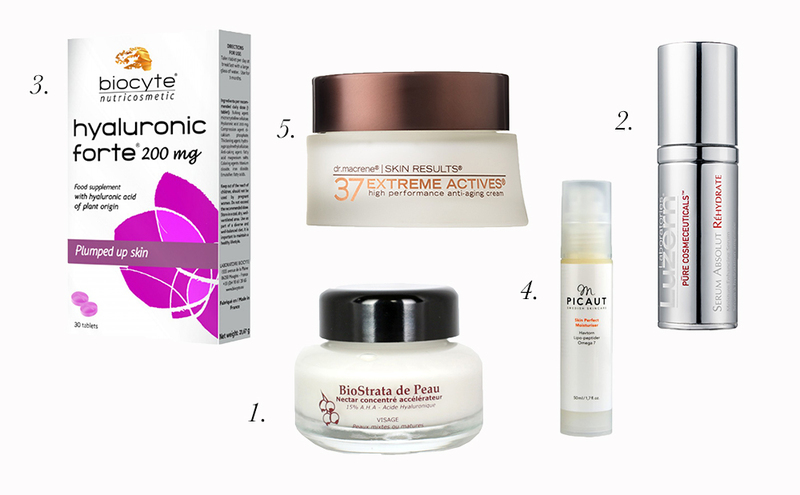 These five products will keep you and your skin healthy by addressing discoloration without hydroquinone. 1.Marie Veronique Gentle Retinol Serum is really popular with our customers: it contains a whopping 7% retinol, yet it’s non-irritating because it also contains heaps of a powerful anti-inflammatory. 2.Luzern Serum Radiance is one our most tried and true solutions for discoloration. It combines Bearberry, Aspergillus, and Liquorice to lighten hyperpigmentation while pumpkin enzymes brighten the skin overall. 3.Vintner’s Daughter is one of those products that people tend to use with some skepticism, only to find that their skin is noticeably brighter within a short period of time. Yes, it’s worth the $185. 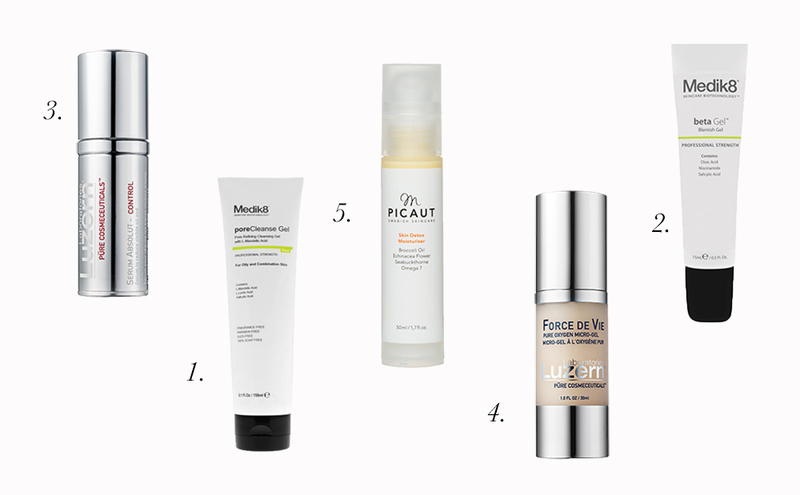 4.I can’t say enough good things about Luzern La Defense SPF 30. It’s lightweight, transparent, provides major anti-aging benefits, and smells like Jolly Ranchers.